This is a fully featured Cotton Analogy® smock in a muted, natural colour range with a longer length design, ideal for extreme conditions. The back of the arms, elbows and the shoulder areas are reinforced for increased wear resistance when carrying heavy rucksacks and skis. Side vent zippers for ventilation adjustment and easy removal. The Liathach windshirt's waist, hood and hem are easily adjusted to protect from the ravages of weather, and the design includes multiple pockets for storage of maps and all sorts of bits and pieces. Liathach (meaning ‘the grey one’ in Scottish Gaelic) is a magnificent steep sided mountain in Torridon in the West Coast of Scotland, rated by many mountaineers and hillwalkers as Scotland's finest mountain. Find out more in our Glossary. The Liathach Natural is an ideal smock for a range of cold weather uses, especially those involving intensive activity and where you want to blend into the natural landscape. For a wider range of colours see Liathach Smock. As an alternative smock for extreme conditions, made in our Double Ventile® material, consider the Cuillin Double Ventile® Smock. Upon opening the parcel I have been very impressed with the high quality of workmanship. The Smock fits great and has a long back to keep out all the rain, snow and wind, the hand warmer pocket is awesome. along with the huge adjustable hood. This smock is an awesome bit of kit and I highly recommend it! Fully waterproof. Hardwearing & warm. With reinforced seat and knee patches, Cotton Analogy® trousers are the outdoor professionals' choice. Fully waterproof. Bellow and chest pockets. 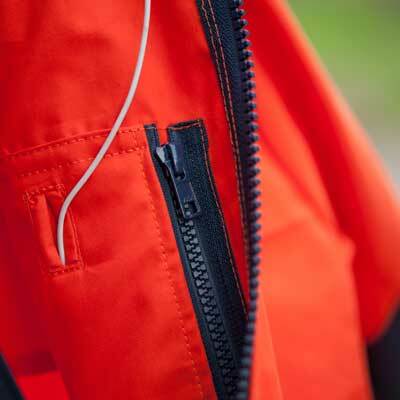 A double-layered Ventile® jacket with roomy sleeves for ease of movement, multiple pockets and roll-away hood. Reinforced for increased wear resistance, a double-layered Ventile® jacket with multiple pockets and integrated hood.